I had to recreate a fair portion of Hawkman’s wings . . . only to have my handiwork hidden by the logos! 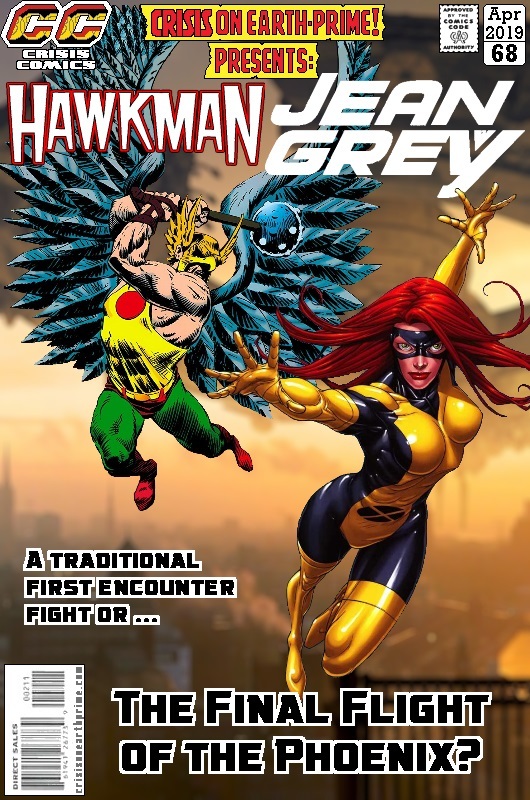 Posted on Wednesday, April 10, 2019 Saturday, March 23, 2019 by GaryPosted in Mash-UpTagged Hawkman (Carter Hall), Jean Grey. Well done on it anyways Gary. I have the comic with that particular rendition of Hawkman on it, so yeah, you did a really solid job on his wings. My only suggestion, unless you’re coming back to this, is to give us a proper Hawkman/Phoenix cover in the near future. No planned pairings for these two at the moment – email me links to covers if you want.